If you are headed for Paris this summer, consider adding on three days to discover the romance and charm of two easily accessed cities in neighboring Belgium: bustling Brussels and breathtaking Bruges (shown at left). As I learned during a recent visit, both cities are ideal for couples who love historic architecture and enjoy savoring everything from beer to waffles to mussels to frites to chocolate (especially chocolate!). 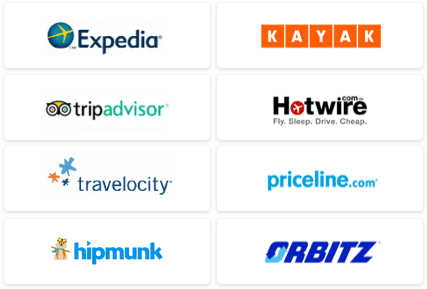 Here are details on how to enjoy a quick add-on visit from Paris, or even Amsterdam, via high-speed train. Brussels: Just 90 minutes by Thalys high-speed train (www.thalys.com) from Paris’ Gare du Nord, the capital of the European Union is a large, modern city with luxury hotels that are appreciably more affordable than in the City of Light. And yet to enjoy its more picturesque charms you need just a single day and night – if you base yourself in the city’s historic heart. Stay at the wonderful, five-star Hotel Amigo, a Rocco Forte Collection property located just steps from the magnificent Grand Place. 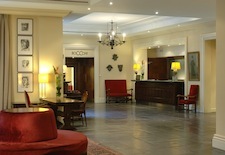 The hotel’s interiors are sophisticated and contemporary (shown at right), with Flemish touches (such as prints by artists Rene Magritte and Marcel Broodthaers), the Bocconi restaurant features fine Italian cuisine, and the 173 rooms and suites are light-filled with large marble bathrooms, from $388/night. I suggest you keep breakfast on the light side as you will be tempted throughout the day by brightly colored storefronts offering an endless array of decadent snacks that carb- and chocolate-lovers will simply not be able to resist. Start your walking tour at Grand Place, where slender, ornate guildhouses, built mostly in the Flemish Renaissance style, are jammed next to the towering 15th-century Hotel de Ville (City Hall) and the 19th-century medieval-style Maison du Roi (House of Kings). Look closely at the guildhouses (for centuries this was the economic heart of the city) to see a bronze fox (at No. 7, the former guild of haberdashers) and a sculpture of a swan (at No. 9, the former guild of butchers). Meander toward the Galeries Royales de Saint-Hubert, a splendid shopping arcade that was considered Europe’s grandest when it opened in 1847, and sample the decadent chocolate truffles at Corné Port-Royal (www.corneportroyal.be). Then wander the old town’s atmospheric side streets as you make your way toward the Place du Grand Sablon, a pretty square lined with antiques shops where you can window-shop and then stop for lunch. My boyfriend and I chose to dine al fresco with a view of the square at L’Entrée des Artistes (www.lentreedesartistes.be), where I enjoyed a traditional salad of tomatoes stuffed with tiny but tasty “crevettes grises” (shrimp), while he had classic steak-frites. We skipped dessert, as the square is home to two of Belgium’s finest chocolate-makers: Wittamer (www.wittamer.com) and Pierre Marcolini (www.marcolini.be), so we each picked out our favorite flavors to nibble on as we continued our one-day tour. After lunch, it’s a short walk to the sprawling Musées Royaux des Beaux-Arts (www.fine-arts-museum.be) where you can take in masterpieces by Brueghel, Rubens, Magritte, and more, and then stroll past the city’s unlikely and most famous landmark: Le Mannekin Pis, a tiny bronze statue of the little boy heeding nature’s call. If you indulge in a gooey chocolate, fruit, and whipped cream-topped Belgian waffle (there are storefronts selling them about every 50 feet), you may not need to eat dinner, although couples who can splurge should note that the city is home to quite a few Michelin-star restaurants. 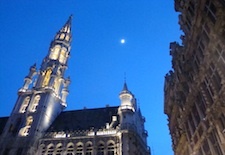 Be sure to return to Grand Place at sundown to enjoy the twilight view of Maison de Ville (shown above at left) and a delicious Belgian beer (the country is know for having more than 400 locally brewed beers) from one of the bars and cafes lining the square. It’s a great way to end a satisfying day. Bruges: Just an hour by local train from Brussels, this romantic, canal-laced medieval city is a must-visit. Spend two nights at the majestic, five-star Kempinski Hotel Dukes’ Palace, an elegant and refined property that’s located in the city’s historic heart yet is surrounded by a peaceful garden and offers a heated indoor swimming pool, spa, and sauna. Dukes’ Palace is steeped in both luxury and history, with some of its 93 rooms and suites located in a 15th-century royal palace. 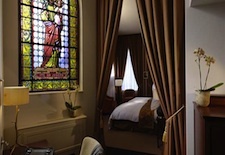 If you can, splurge on one of the dozen palace suites, such as the Graaf van Vlaanderen Suite, shown at right), and ask to see the royal chapel, where intimate concerts are now held. The chic and modern Bar Atelier is a wonderful spot for a late-afternoon cocktail, and the pretty Manuscript restaurant serves breakfast, lunch, and dinner, from $305/night. It’s a short stroll to the most bustling spot in Bruges, Markt square, which is lined with colorful step-gabled guildhouses and filled with horse-drawn carriages. Follow Breidelstraat to the more intimate and gilded Burg square for several don’t-miss sights: the Basilica of the Holy Blood, a lavishly restored Neo-Gothic chapel that holds a vial of blood said to be Jesus Christ’s, and the Stadhuis (shown at left), built in the late 14th century in a Flamboyant Gothic style. 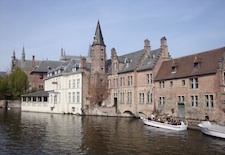 One of the best ways to see Bruges is on a 30-minute canal boat tour (about $8, shown at left), which loads just around the corner from the Burg along Steenhouwersdijk (the stonemason’s embankment), one of the most picturesque stretches of canal. The tour will take you call the way to the scenic Minnewater Park, where elegant white swans congregate, and back, passing endless photogenic buildings and the towering spire of the Church of Our Lady. Visit the church after your tour to see Michelangelo’s sculpture “Madonna and Child,” one of just a few Michelangelo works located outside of Italy. From the church, walk to the small Simon Stevin square to sample what I think are the best chocolates in Bruges: the artisanal bites of milk and bittersweet chocolate filled with a litany of toppings, including caramel and cabernet sauvignon and pistachio and passion fruit, at The Chocolate Line (www.thechocolateline.be). Save room for a romantic dinner at Cafedraal (www.cafedraal.be), where, depending on the weather, you can enjoy creative seasonal cuisine (mostly seafood) either inside in an exotically decorated 15th-century Flemish house or outdoors in an atmospheric courtyard. Afterward, simply wander the city, which truly is magical at night, and find a cozy spot to people-watch and sip a glass of wine or a tangy Belgian beer. There is plenty more to enjoy on your second day – I spent just one and it wasn’t enough. 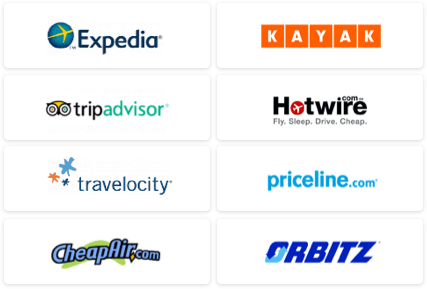 See our Brussels Travel Guide and Belgium Travel Guide for more trip-planning information, then use our Travel Search price comparison tool to find the lowest rates on flights, hotels, packages and more travel deals.